The Paradigm Group is an investment advisory and wealth protection firm catering exclusively for executives, professionals and business owners. 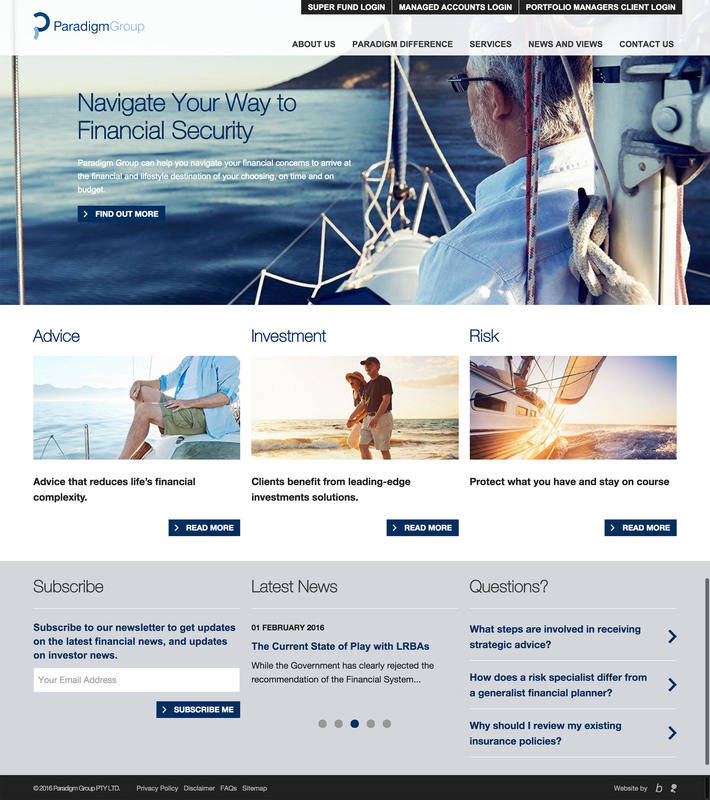 The client needed a fresh looking website that helped them communicate their expertise to their prospective customers. Teguh and the team has provided exceptional website that meet the needs of both their internal and external stakeholders.